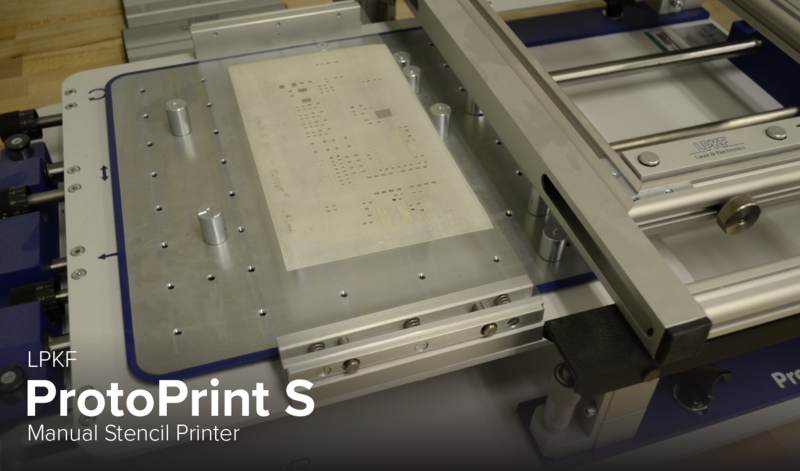 The ProtoPrint S is a precision manual stencil printer. This tabletop model can be used for prototypes and for small batches of fine-pitch SMT boards. Precise vertical separation between stencil and circuit board is guaranteed to meet the specifications of contact printing, as small as 0.3mm (12 mil) pitch (ultra-fine-pitch area).